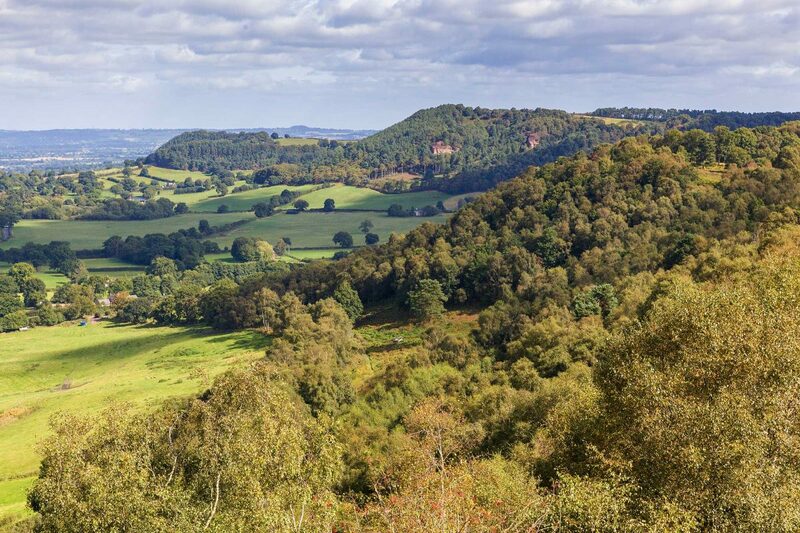 Branding a landscape to take the area towards Area of Outstanding Natural Beauty status. 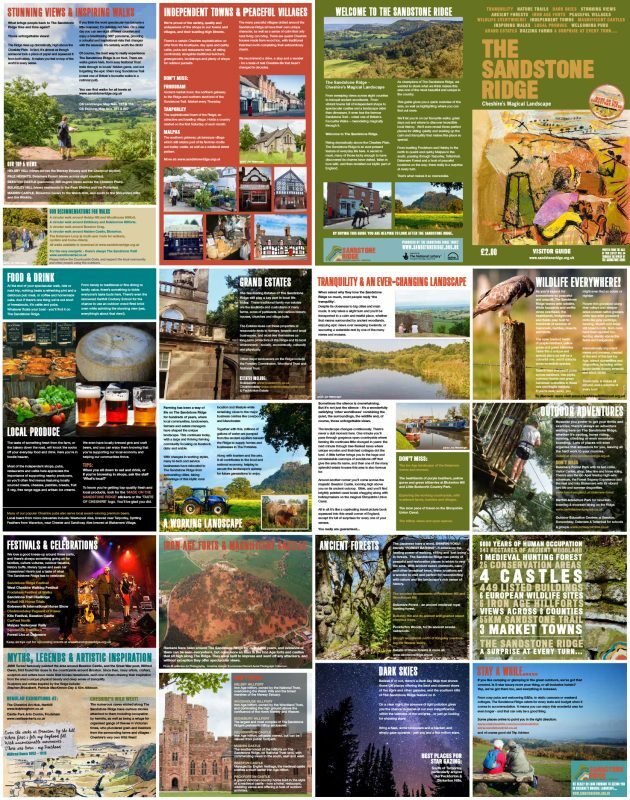 Work carried out includes: branding, design, photography, interviews, artwork, film, copywriting, workshops. 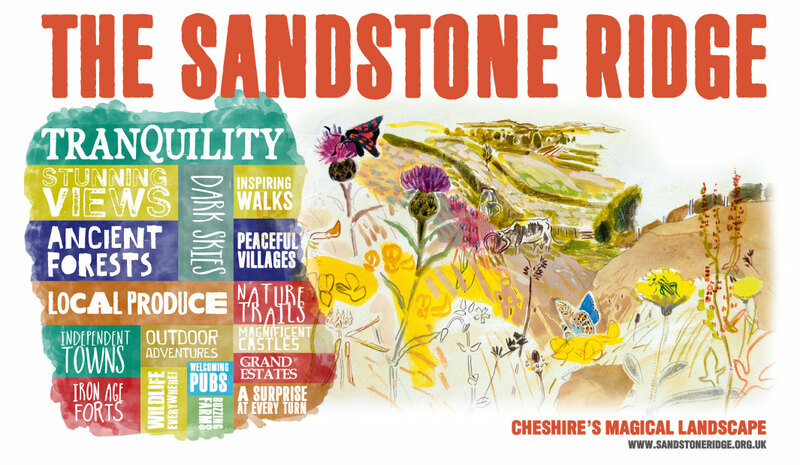 The Sandstone Ridge is a stunning piece of Cheshire landscape that runs from Frodsham to Malpas, taking in Tarporley & Delamere Forest. 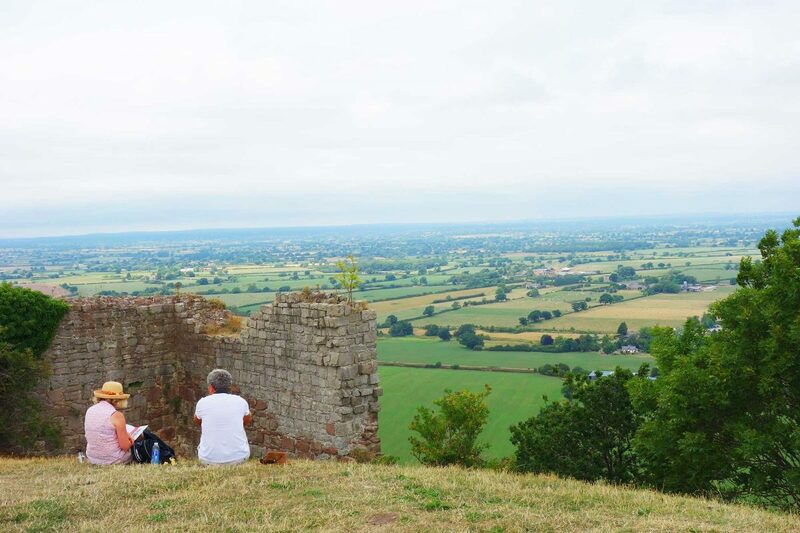 Sitting on the vast, flat Cheshire Plains, the Ridge rises dramatically to tower above its surroundings, with views that take in 8 counties. 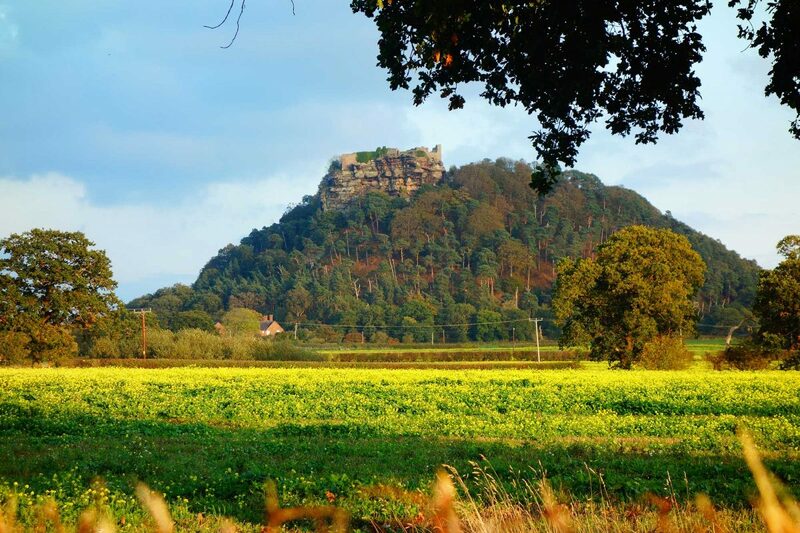 It has historic hill forts, ancient forests, extraordinary wildlife, and an over-riding air of tranquility. 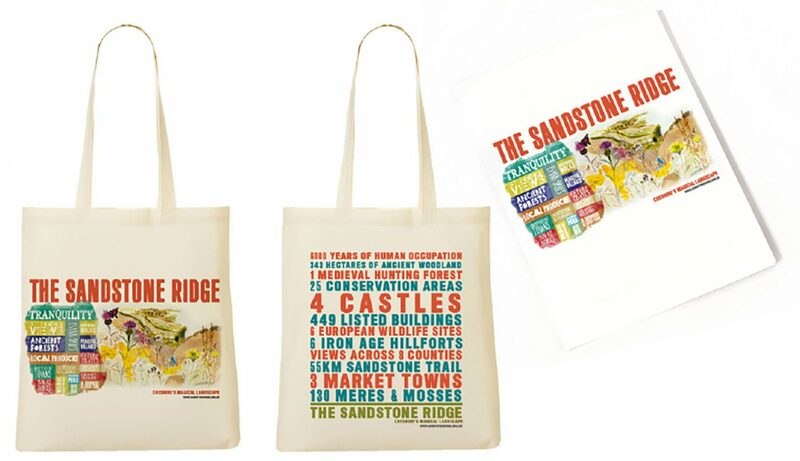 I was commissioned by The Sandstone Ridge Trust to work on a place brand for the area. 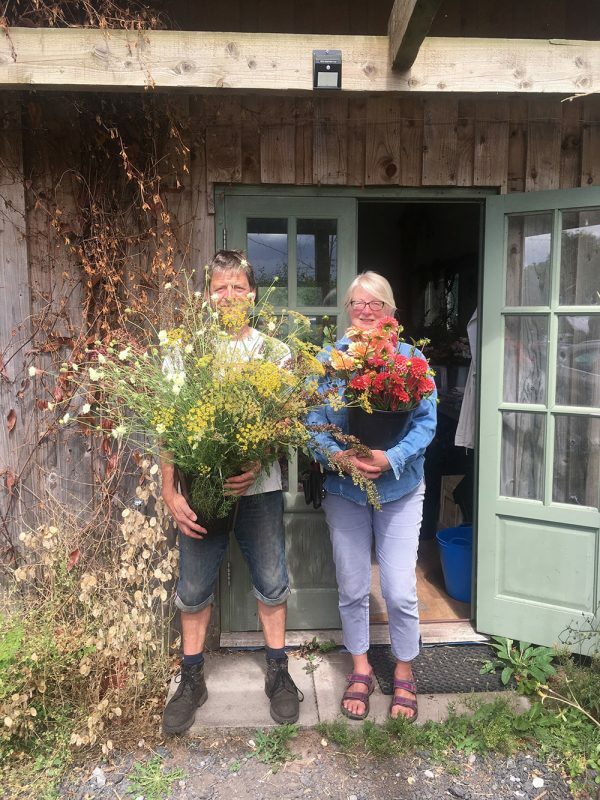 I had long discussions with them beforehand as to what was missing from their work, which had huge depth and amazing resources, but we came to the conclusion that no one knew what the area stood for, and where it actually was! 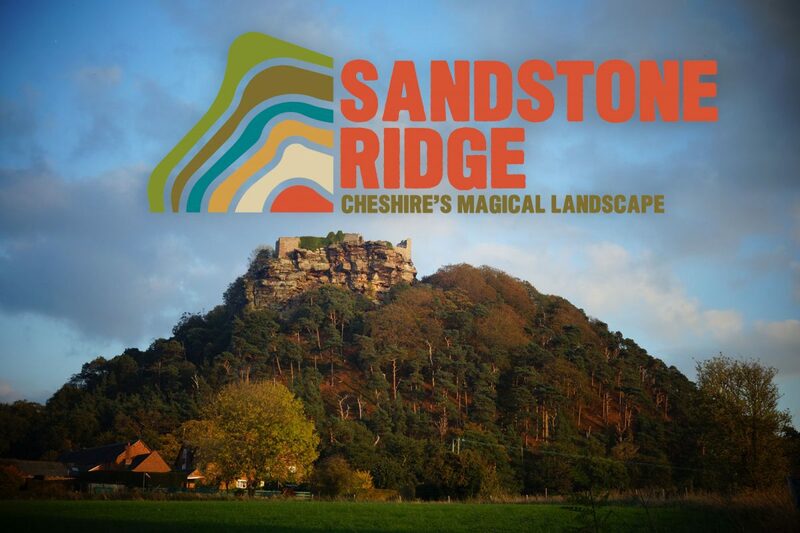 This was made clear when we spoke to residents in Tarporley, and they had no idea their town was part of The Ridge! 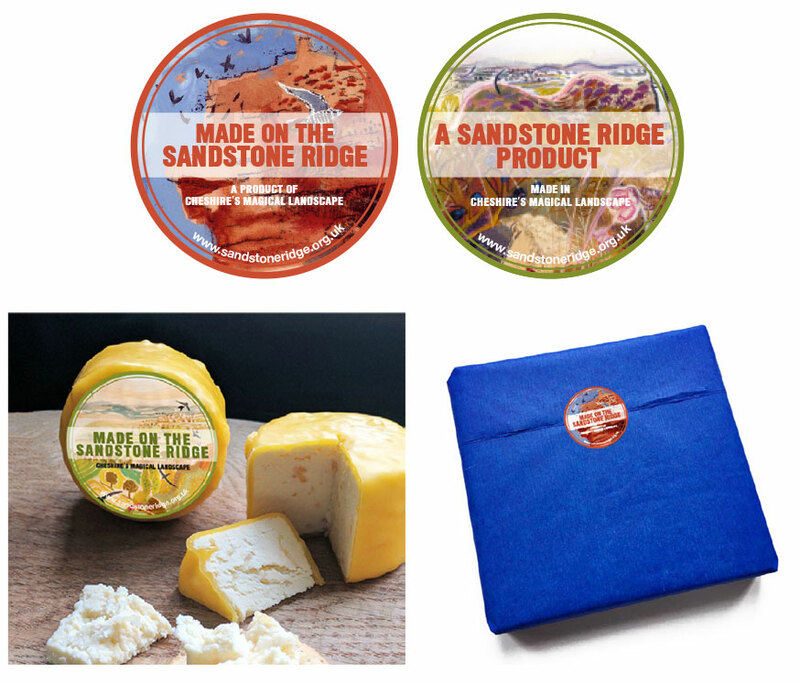 So we set about creating a brand that encompassed tourism, geography, history, business, wildlife, outdoor pursuits, local produce and, most importantly, the FEELING that being on The Sandstone Ridge gives you. 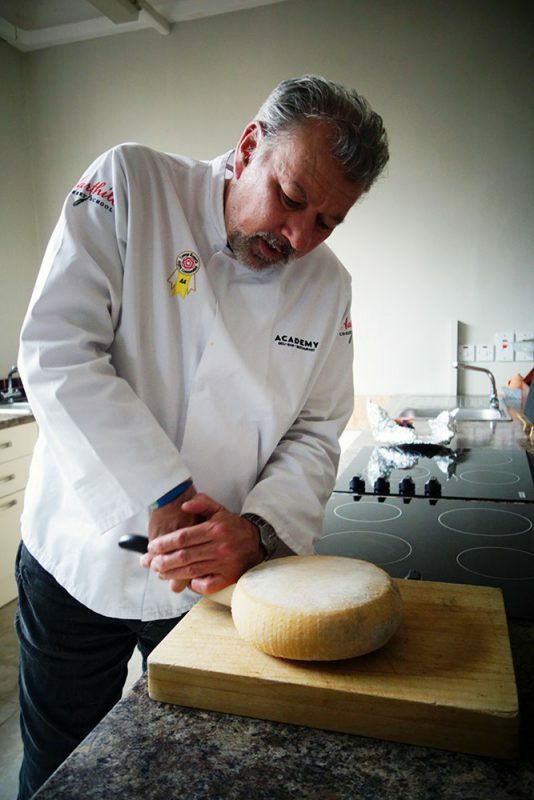 It has been made into products for the businesses round the area so they can be ambassadors for the brand. 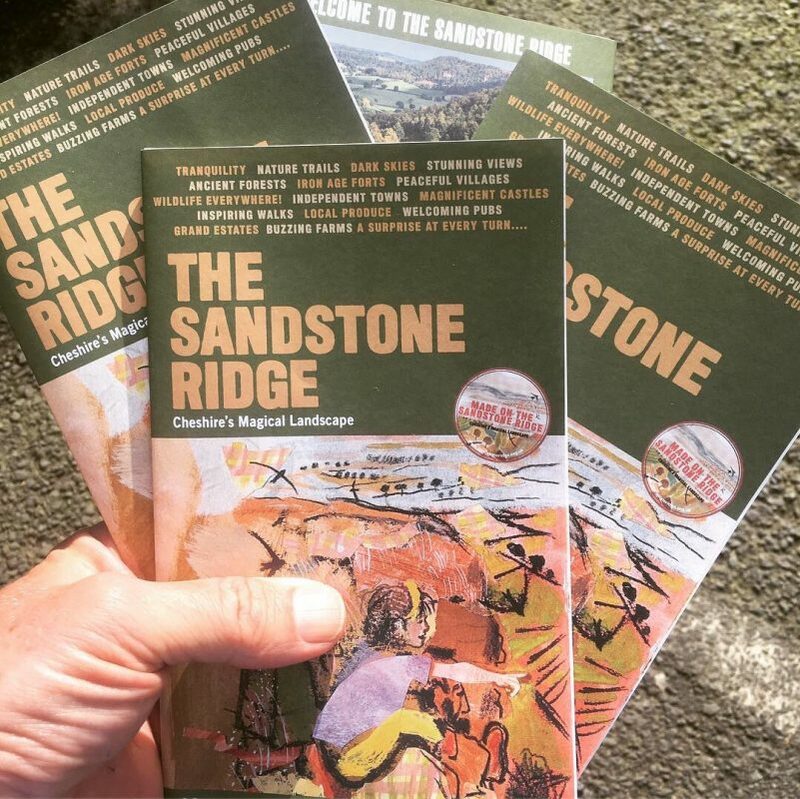 I spent the summer interviewing people who live and work on The Sandstone Ridge, and met with those who have a passion for the place, as well as stopping tourists and walkers to find out their views. I camped out some times, walked and cycled the area. It was all to find out the true essence of the place, so we could convey that in the brand. 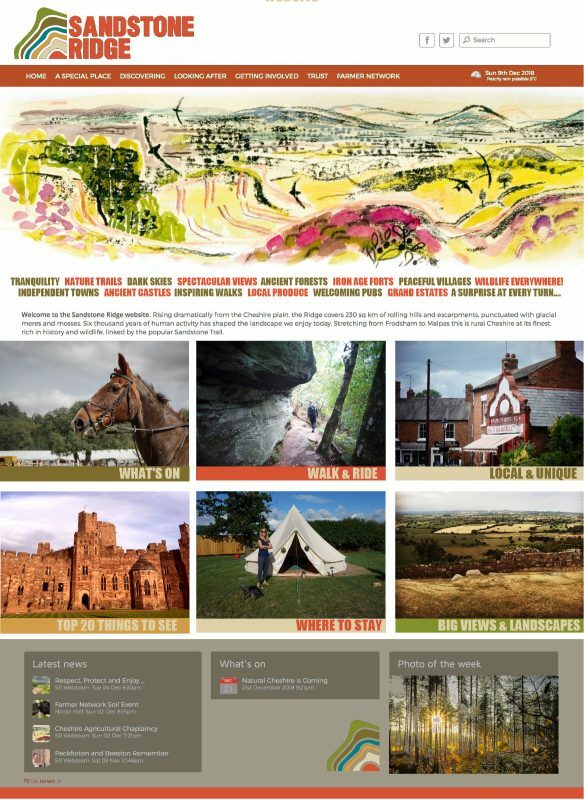 I interviewed key business people, Trust members and organisations, (including the National Trust Park Rangers, where I spent a day with them whilst they worked) who make a living in the area, and from this pulled together a brand using words, imagery, photographs & film. This then went across to all promotional material, signage, brochures and merchandise. 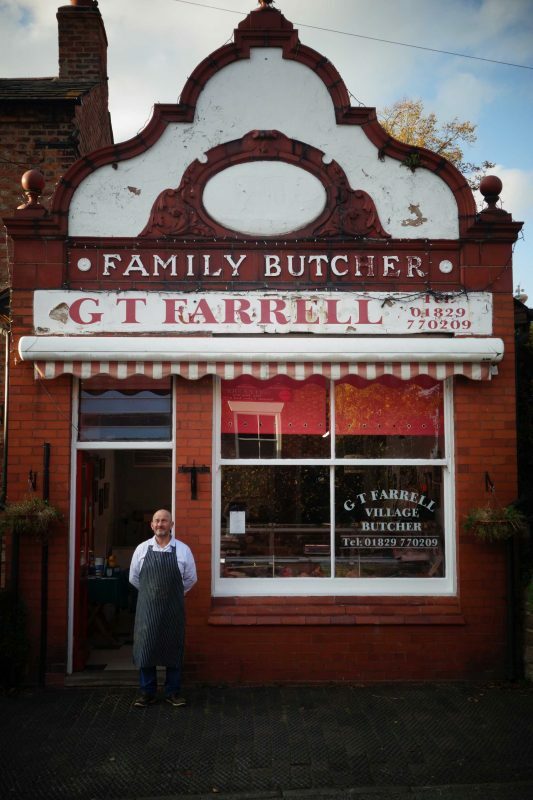 Below are some of the businesses I interviewed & photographed, who then went on to appear in the film that follows. 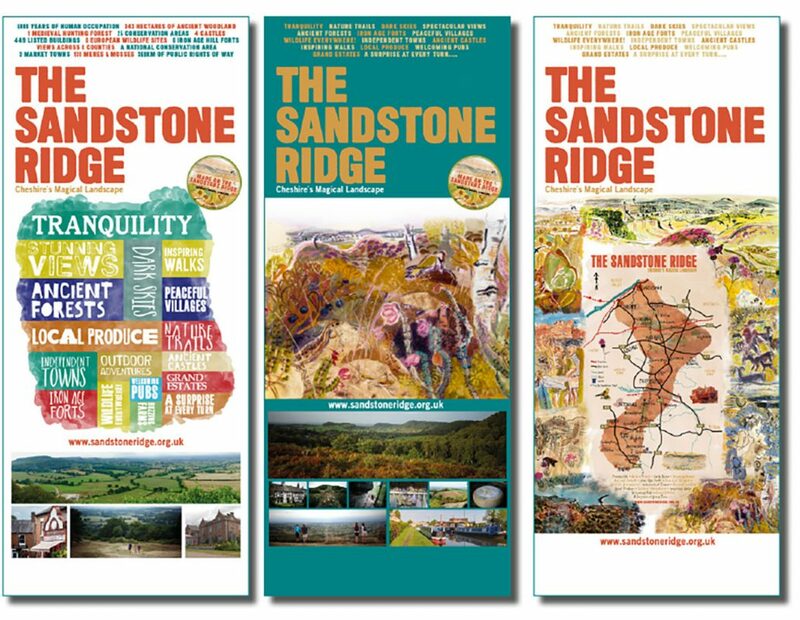 At the end of the brand process, I brought my friend, photographer & film maker Sarah Mason to spend 2 days with me filming, what we had discovered to be, the essence of The Sandstone Ridge. This stunning little film was the result. 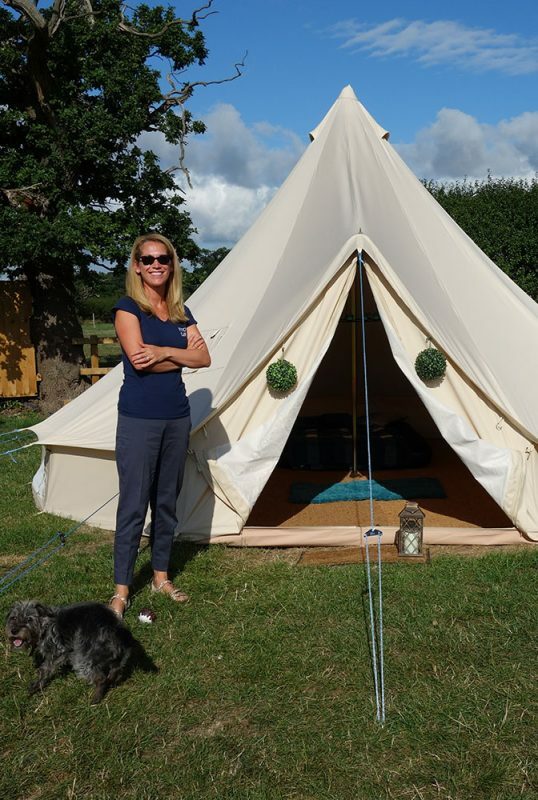 A key element to the brand is the artwork of renowned wildlife artist Kim Atkinson. 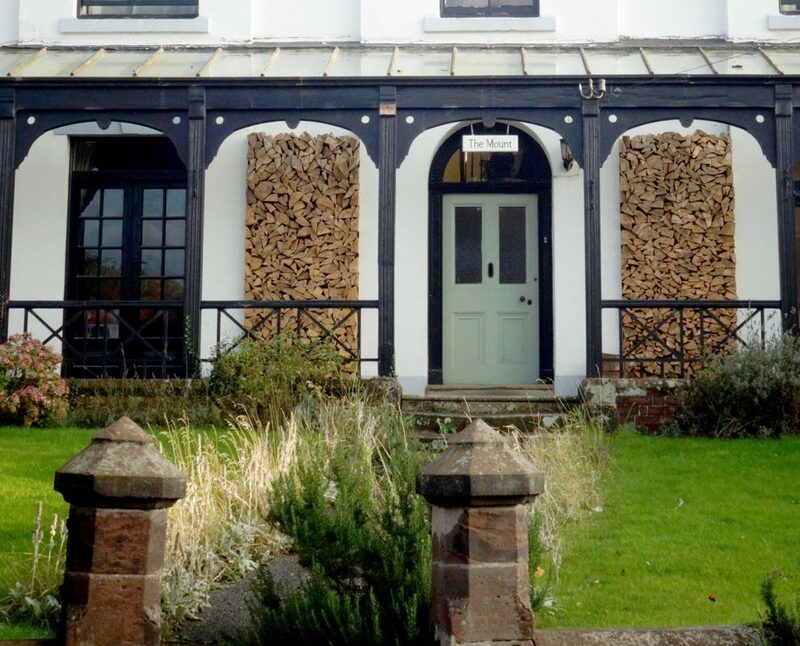 The Trust had the use of Kim’s stunning work of the local area, but it had been used sparingly, and was more or less forgotten. 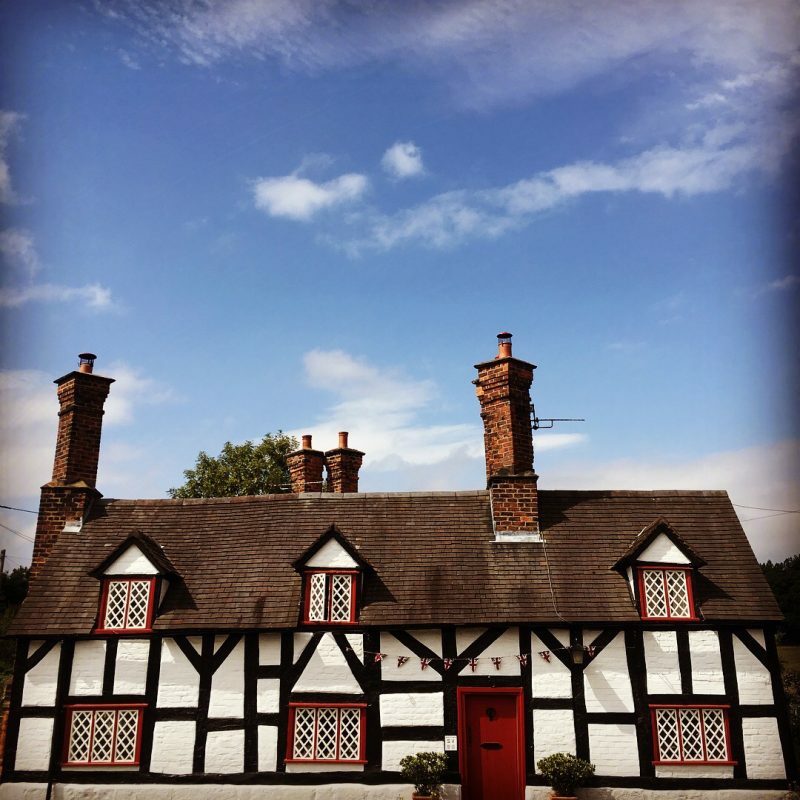 When I saw her work, I found it really summed up the area – with a feeling of times gone by, Swallows & Amazons and English country summers. I spoke to Kim, and she was happy for it to be incorporated into the brand. It now plays a big part in all the literature, merchandise and signage. 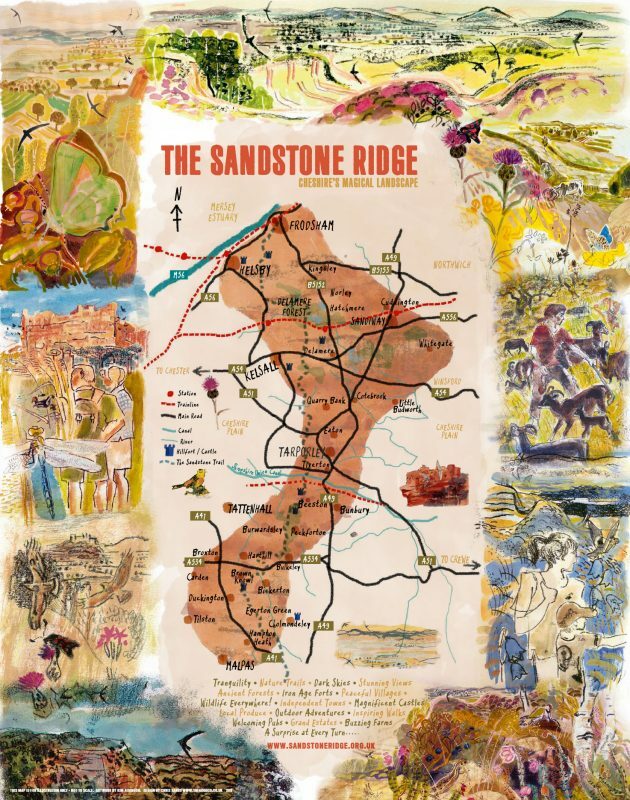 Because of the lack of understanding of the area that The Sandstone Ridge encompasses, we created a map showing the various towns, landmarks & visitor attractions, using Kim’s artwork, plus my own watercolour work. This helps to create an understanding of the boundaries of the area and which bits are included. When creating the place brand, certain words & phrase kept occurring. So these became our headings, and key elements to all the literature & merchandise. 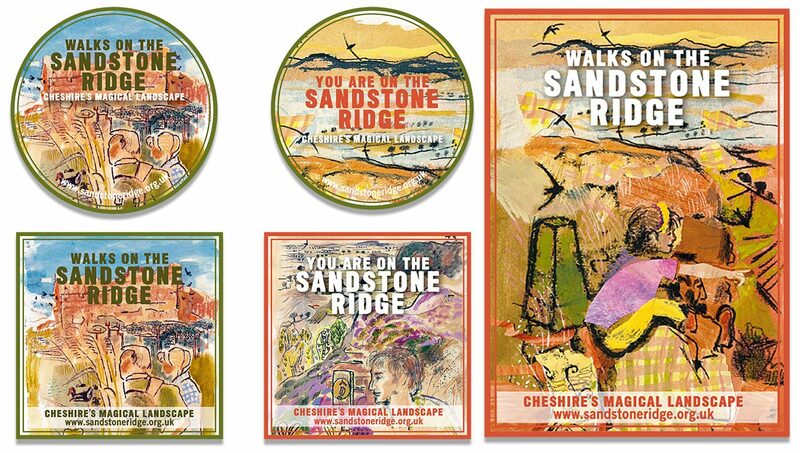 The reverse of the map, took these titles, and organised them, with explanations, into an almost ‘mini-journey’ into what you could expect if you were to visit The Sandstone Ridge. 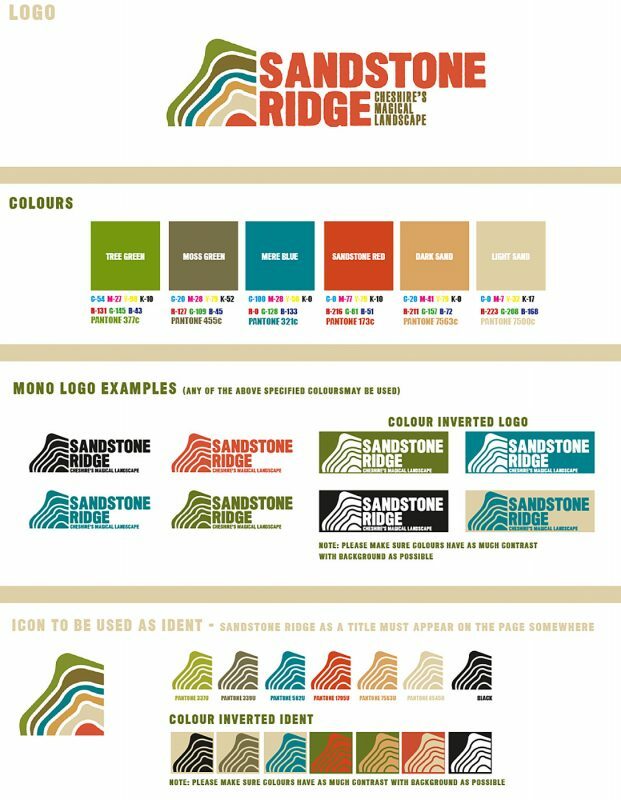 Logo – adjusting existing logos through type, colour & strap-line, to convey the landscape as contours, but also as a ‘slice through’ of the rock face, using the colours of the landscape. The soft edges of the sandstone are represented through the soft edges of the chosen typeface. 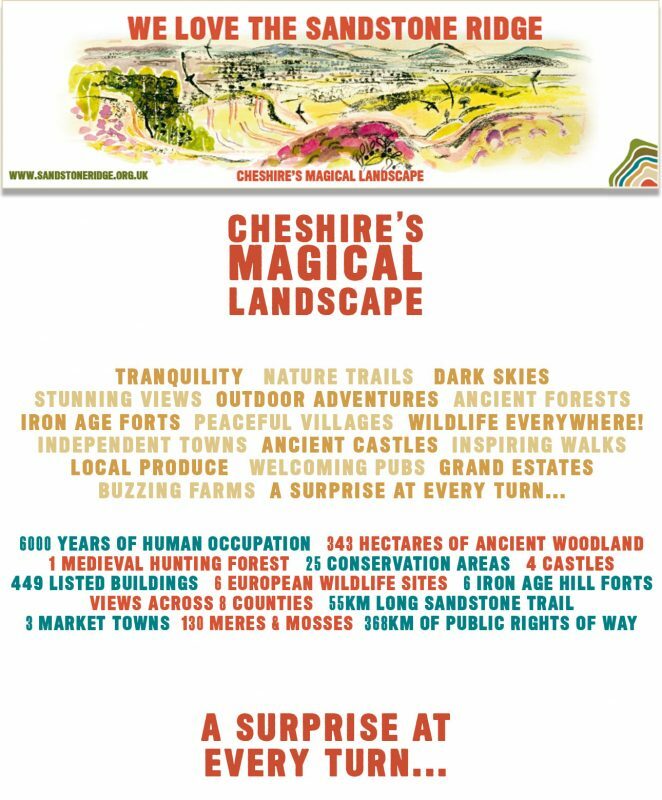 Strap line – Cheshire’s Magical Landscape – The word ‘magical’ was the most frequently quoted when people were asked their feelings. 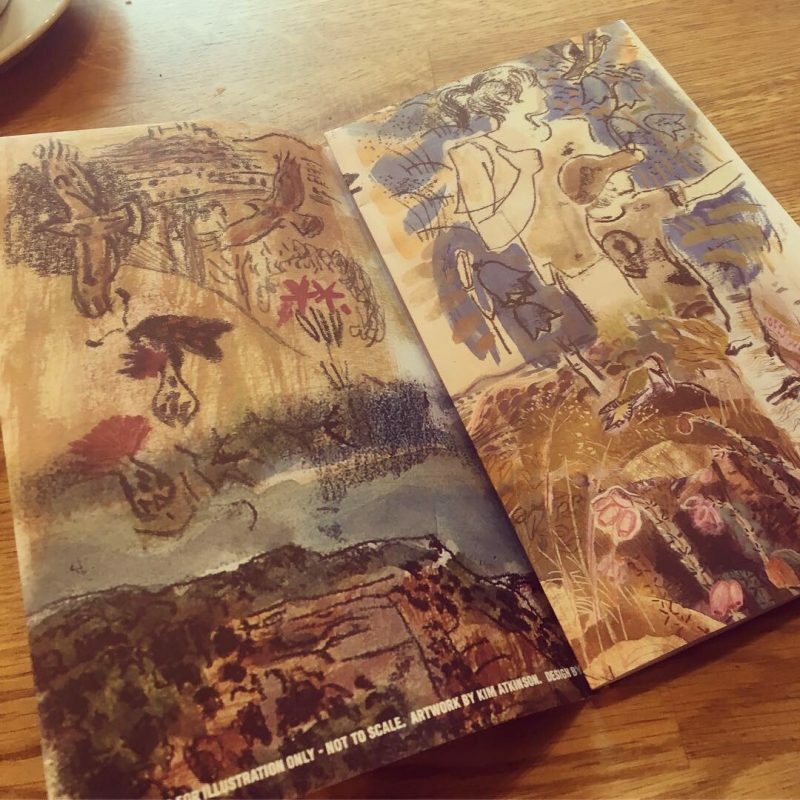 Although the word magical isn’t accepted as ‘good literal practice’ we decided that ‘If that’s what people feel, it will become part of the brand!’ As that is what brand is – the gut feeling that you get when you think about a place, product or person. A Surprise at Every Turn – we use this as a secondary strap-line. Often at the end of a piece of text, brochure or film. 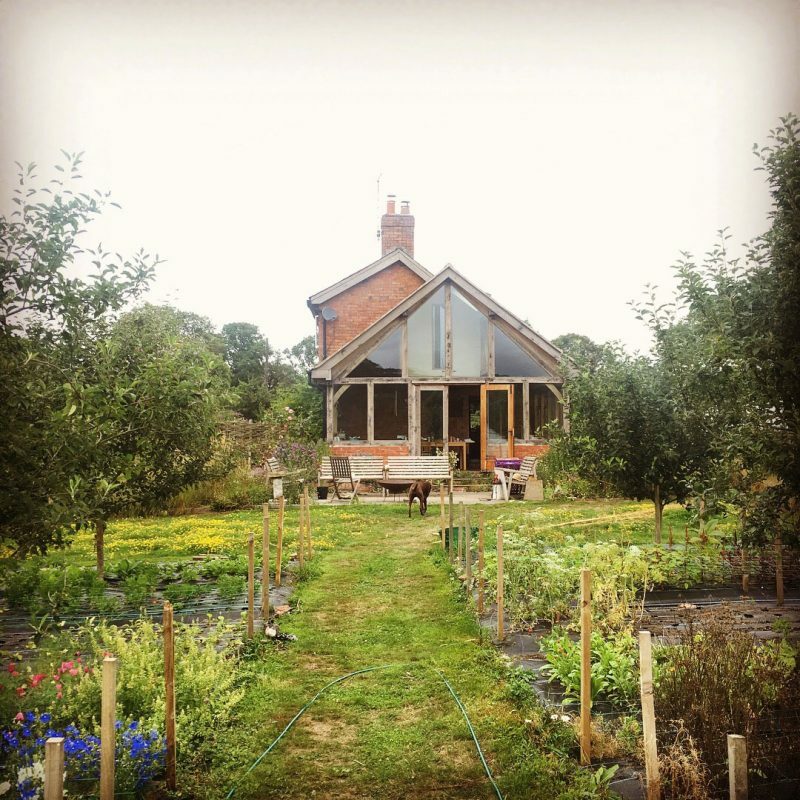 The area is ever changing, and the landscape can look and feel totally different within a few hundred metres. This conveys that and makes for a nice ending for stories, posters films etc. Brand guidelines, brochures, stickers, signage, badges, website, postcards and more were produced. 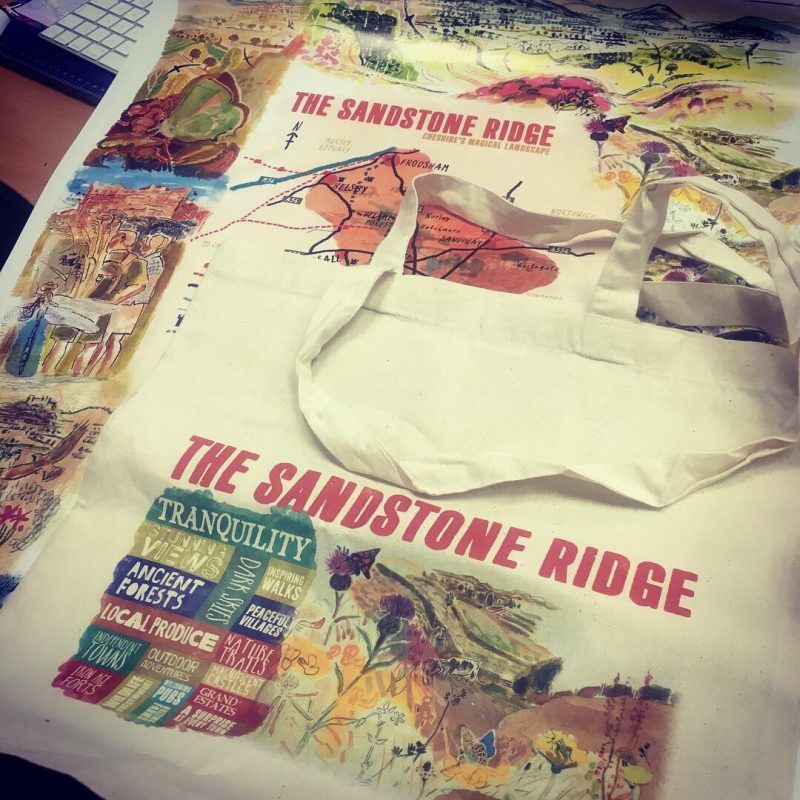 These will be distributed to businesses and visitor attractions this summer, to finally bring a place brand to The Sandstone Ridge. The Website will be completed end may 2019. It will follow what we have put together here. 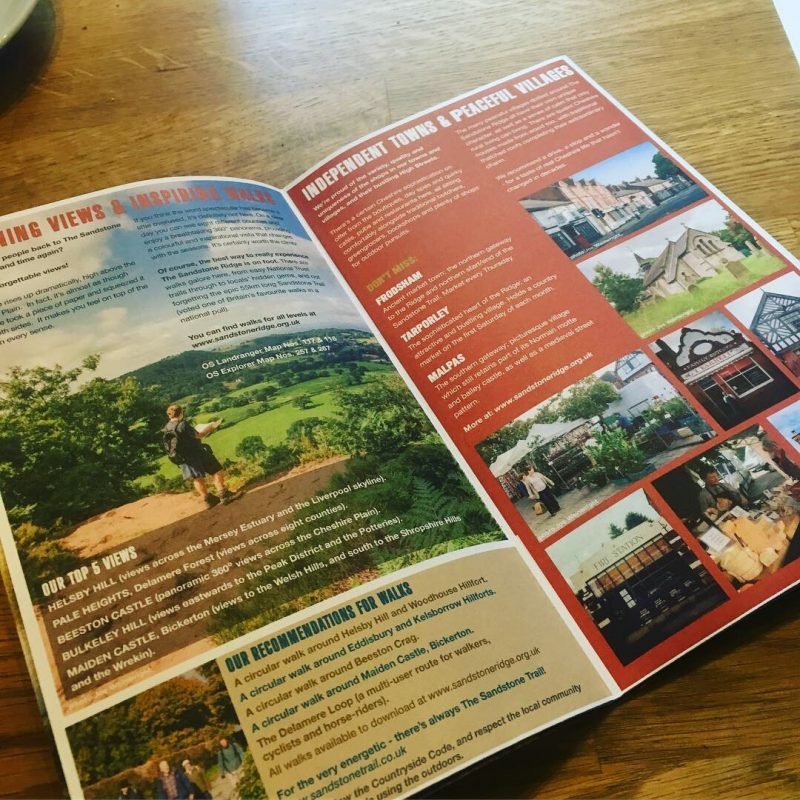 So if you want a really tranquil, magical day out in ancient woodland, with stunning views, magnificent castles, beautiful towns & villages, welcoming pubs and all the stuff that it says on the artwork here – you know where to come! Huge thanks to Ian Marshall, who coordinated the project.